designs and manufactures premium high-performance production chokes for use in the most rugged oil & gas field environments. Lancaster chokes are versatile, compact and durable. The extremely low operating torque eliminates the need of large hand wheels, cheater bars or multiple personnel to adjust the choke. Automation can be accomplished with any electric multi-turn, linear, pneumatic, or hydraulic actuator. Lancaster chokes contains fewer moving parts than most industry designs. This results in less wear and tear and extends the period between maintenance cycles. Our chokes have interchangeable components and provide exceptional resistance in erosive conditions. 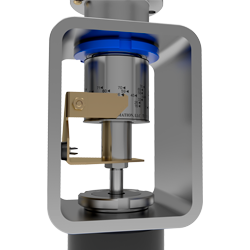 Lancaster chokes are engineered to operate at high pressures and process aggressive fluids containing sand and other solid particles. Our manufacturing processes and selection of materials ensures maximum resistance of all components extending the service life of the choke. 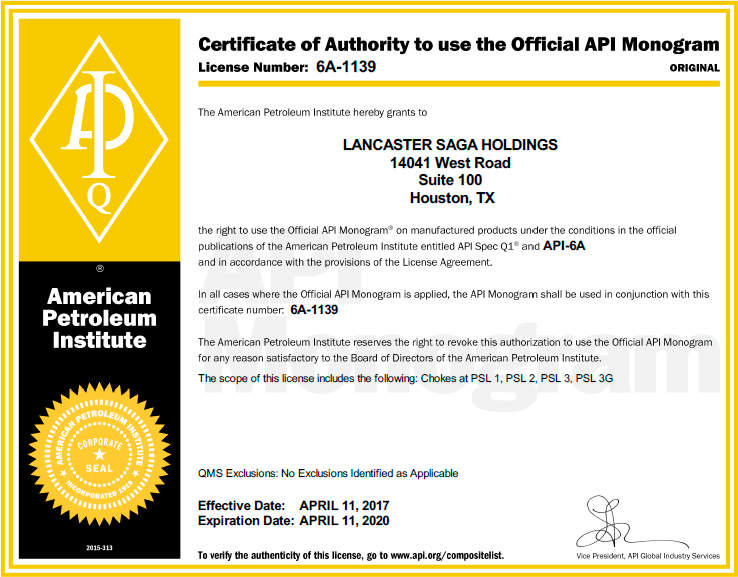 The Lancaster manufacturing facilities are located in Houston, Texas and Samarinda, Indonesia. We have a service and maintenance facility in Abu Dhabi and sales offices in Singapore, Jakarta, Kuala Lumpur, Islamabad, Melbourne and Muscat. 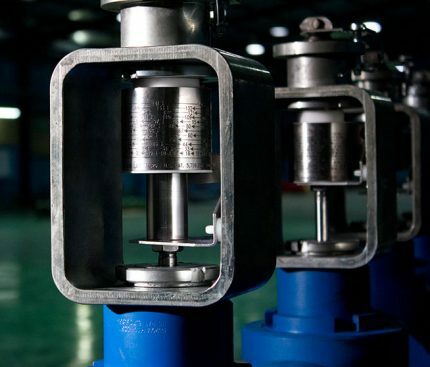 Our production choke is ideal for challenging offshore and onshore applications because it is more robust, compact and durable than any choke on the international market. The SAGA-Lancaster choke is an exceptional design. 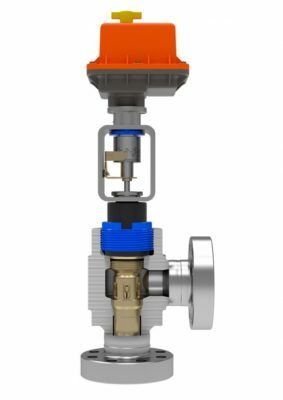 The choke body may be fitted with trim designs – cage/plug, needle/seat, single or multistage, or positive/fixed bean in a full series of sizes; engineered for multiple applications, low to 15,000 psi pressure, normal to severe sour service and extreme pressure drops. Our choke is widely accepted by the oil and gas industry’s most prominent and demanding producers in multiple global markets. Lancaster-Saga’s solar powered Remote Operations Controller (ROC) delivers a step change in time and cost-efficiency for operators in challenging locations. The Lancaster-Saga ROC is controlled using any web-capable device including smart phones and tablets. Accessing the choke remotely provides all critical operational data including the choke position, hours and cycles of operation, average percentage of duty cycle and battery voltage. The Lancaster-Saga ROC’s reduction in manpower, transport, and maintenance costs is especially advantageous for production fields in remote and challenging conditions. Lancaster-Saga trim design for Managing Sand Erosion offers outstanding durability in high- erosion environments. 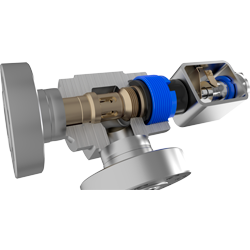 This exceptional endurance added to the versatility of our choke body makes the Lancaster-Saga MSE choke suitable for multiple applications with minimal parts replacement during operations. 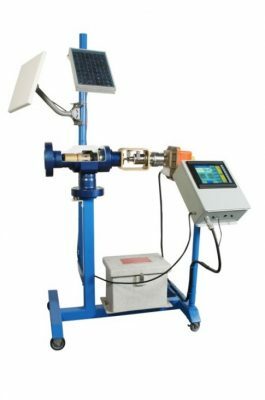 Lancaster Flow Automation leads the industry in versatility. 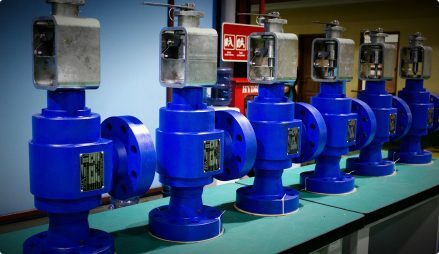 Our unique design has allowed us to develop a series of “retro-fit” kits that give you, our customer, a greater amount of flexibility when it comes to controlling your wells. 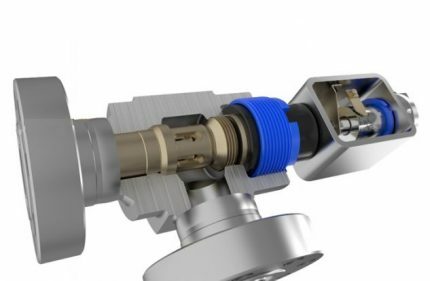 We have the technology to adapt many versions of “conventional” (H2, JWA) chokes into actuated chokes. 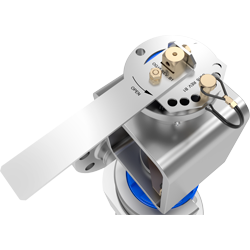 We are able to employ our low torque bonnet assemblies so that you can leave your existing choke body in line and only need to replace the top works. 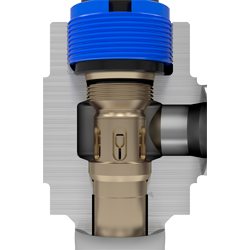 This will save you time and money and still allow you to upgrade the capability of your existing choke. Don’t be forced into using large stepping actuators to operate your choke. Using our chokes, you have the freedom to get away from unfriendly, expensive and bulky pneumatic diaphragm or stepping actuators. Our line of chokes can be operated at 15,000 psig with a small electrically powered (24vDC/110AC/ 220AC) actuator. When operating with 24vDC, our chokes can work onshore or offshore using only a small battery pack and solar array for power. 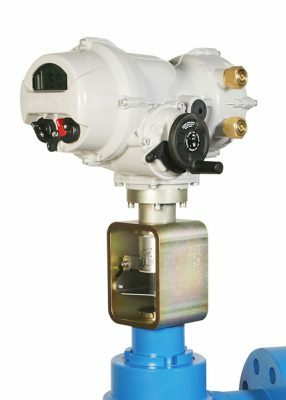 This gives you unparalleled freedom and reliability when it comes to flow control in remote locations. At Lancaster Flow Automation, we’re always available to discuss your production needs. Please don't hesitate to get in touch.